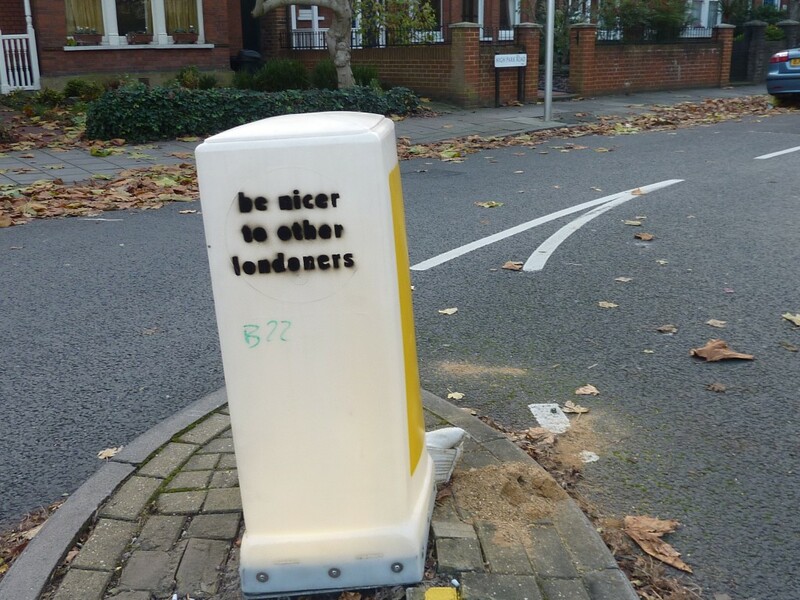 You may recall the blog I posted in August after spotting that my post box in Kew had been painted gold, with the intriguing message ‘Be nicer to other Londoners’. My attention was caught today when I spotted the message again on a local traffic bollard. Is it a stunt? Is it guerilla marketing? Who knows – and who cares? Because the whole point of guerilla marketing is to get the word out about a product or service. This relies on substantial foot traffic to succeed. 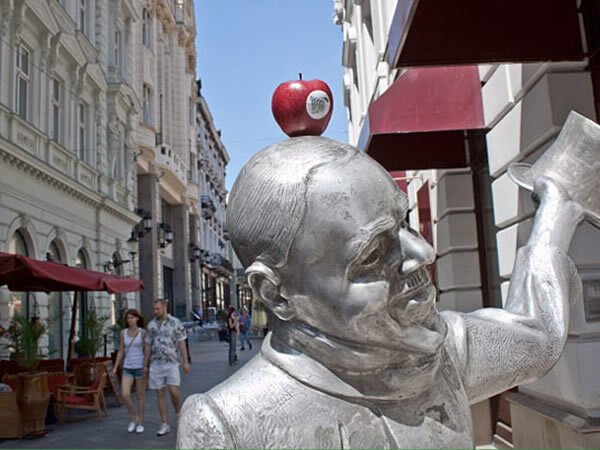 Guerilla marketing isn’t just about a quirky eye-grabbing message: it needs back up to get people talking, make a connection with them and generate media attention, otherwise what’s the point? And, of course, it ideally needs a call to action to track and gauge results. 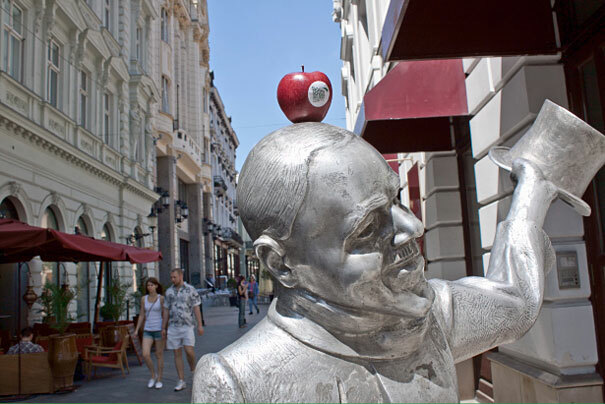 For example, these real apples were put on top of statues’ heads in Bratislava. The sticker on them invited people to visit sslk.sk, a website for a local archery club. 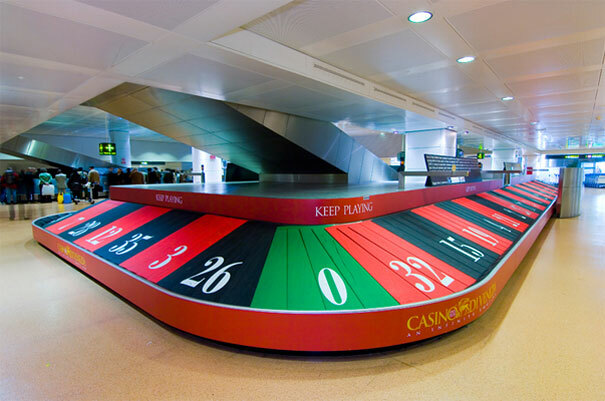 This striking ad for Venetian Casino appeared at Venice airport and boosted visits by 60%. 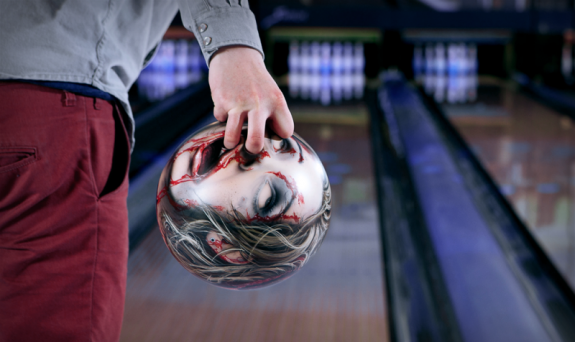 And these bowling balls were placed in several bowling alleys in Germany to promote a horror TV channel. Meanwhile, be nicer to other Londoners and let the people of Kew into the mystery. If you know more, get in touch at caroline@carolinegibson.co.uk! This entry was posted in Copywriting tips on November 15, 2011 by Caroline Gibson.